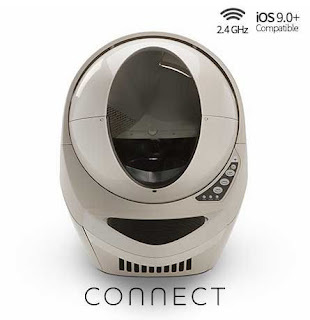 "Say hello to the completely reimagined Litter-Robot III Open Air with Connect. After the cat exits, the patented sifting process automatically separates the waste from the litter and deposits the clumps into a waste drawer for easy disposal. Now WiFi-enabled so you can remotely monitor and control a single Litter-Robot or multiple units. Compatible with Apple mobile devices with iOS 9.0 or greater. Free shipping to the contiguous US"